Thanks for the inspiration! I might have to give it a whirl. I'll let you know if I come up with anything! Love this Ashlie. Resetting the day is such a great idea. I strive to be organized... But with the wrong things. Lego's and playmobil are meticulously sorted into appropriate bins, but important paperwork I can NEVER find. 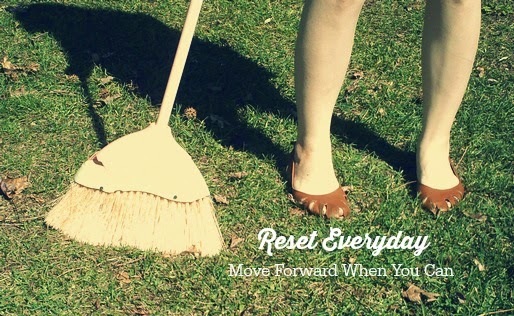 "Reset every day" is so wise. I LOVE that. I can already tell it's something I'm going to be mulling over for a good while. Thank you! And hello, I love what you're doing here! 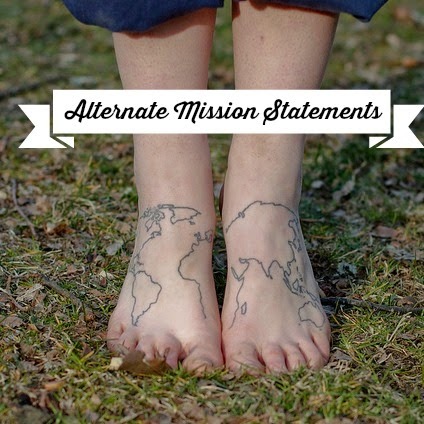 I've written about family purpose statements, but I'm totally sold on the personal application. I'm off to check out your related links!